In the beginning, my response was a visceral and resounding mixture of disgusted noises, squished up noses and general discontent. And, though rarely, it does sometimes take effort to bury that reaction during a service. While the notion of spending a significant amount of time face to face with a stranger’s foot isn’t one that’s settled quickly or easily with me, it has become less absurd. Pedicures always start with a foot soak. A long, luxurious foot soak in warm sudsy water immediately relaxes the client, but on the flip side, it also puts the nail tech’s mind at ease. For us, the soak is doing much more than putting our client in a state of relaxation. It’s also washing away the sock lint and day’s sweat in the bubbles, and the sandal-stressed feet are softened and infused with a clean smell. That step alone makes pedicures much less terrifying. Have you ever noticed how many products are used on you during a pedicure? There’s scrubs, lotions, oils, more scrubs, wax dips, warm lotions and the list goes on. These products are just more pleasure for you, and for me, they’re products to make feet more manageable. And for those products I’m grateful. Like Jessica products and treatments including relaxing pedicures. Gerrard International salons and spas offer professional pedicures that sound just lovely. 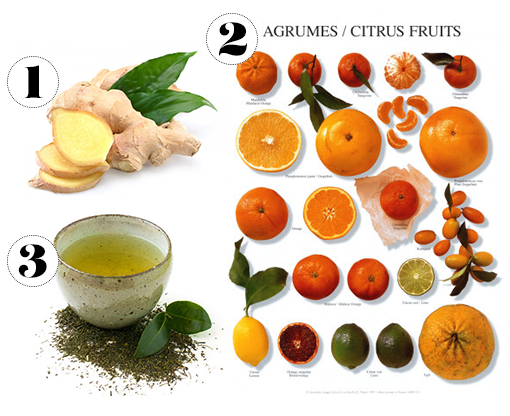 Like their ZenSpa Pedicure, which lets the client choose between ginger, green tea, and citrus preparation and penetrates the tough skin with deep conditioning creams for super soft skin. They finish it all with professional finish nail polishes for the pièce de résistance. So if you’re thinking of trying nail school, don’t be scared of the pedicures! It’s acceptable to wear gloves if you want to, but the products and your sanitation practices will take good care of you! My question to you: If you get a pedicure, what is your favorite part? Do you get special treatment at your salon, like those offered at Gerrard International spas? This post was a PR Collaboration with Gerrard International. I have a hard time touching my own feet sometimes - I definitely don't know how I'd handle really grody feet! I like the attention to the toes, I find dry skin and calluses around the toes are the hardest to get rid of with an at home pedi! I don't like any massages though since I have ticklish feet! Hi Katy! I love the article and couldn't agree more! I've been doing nails and toes since before you were born and I love doing feet. Over the years, I've found feet to be cleaner than hands especially after the foot soak! Besides, most people are in shoes while I do notice how many people wash their hands after using the restroom! Give me feet any day! Keep it up the good work and the sanitation in beauty school! I've loved the industry for many years and I wish you much success! I like the massages, as they usually don't tickle and a really good tech doesn't tickle when removing calluses, either. Love seeing a design when it's done, too! Great post. However you brought up many questions for me regarding the foot creams, oils, lotions, scrubs, etc. There are sooo many products out there for doing home pedicures and I am lost in the confusion. Like which product does what and when should I use it and what do I really need and what is simply duplication of products and overkill? How to get a real spa pedi at home would be a much desired tutorial. Please. I hear ya! There's a lot of information out there, and a lot of products. An essential pedicure uses a soak, a scrub, cuticle oil, and lotion. A soak cleans your feet. It can be infused with lovely smells, or you can just pump in some soap in warm water. A scrub is an abrasive lotion or creme or gel that will help smooth out calluses on your feet and rub off dead skin. Since it's abrasive, it's recommended you don't shave your legs at least 24 hours before your pedicure. Finally, lotion and cuticle oil moisturize your legs and feet to make them soft and keep them healthy. A spa pedicure offers added bonuses to these. You might see a paraffin dip (which is a hot wax used to provide additional moisturizing benefits and reduce inflammation). You might also see a mask, wiped off with hot towels. The soaks and scrubs might be infused with exotic scents or all-natural ingredients like sugar and lavender. The customization is limitless!